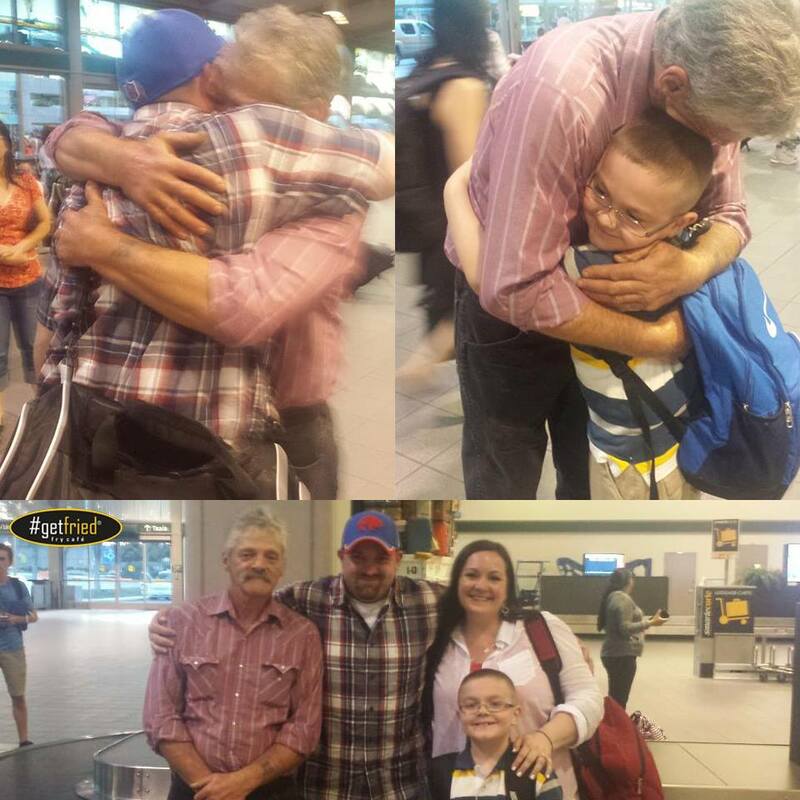 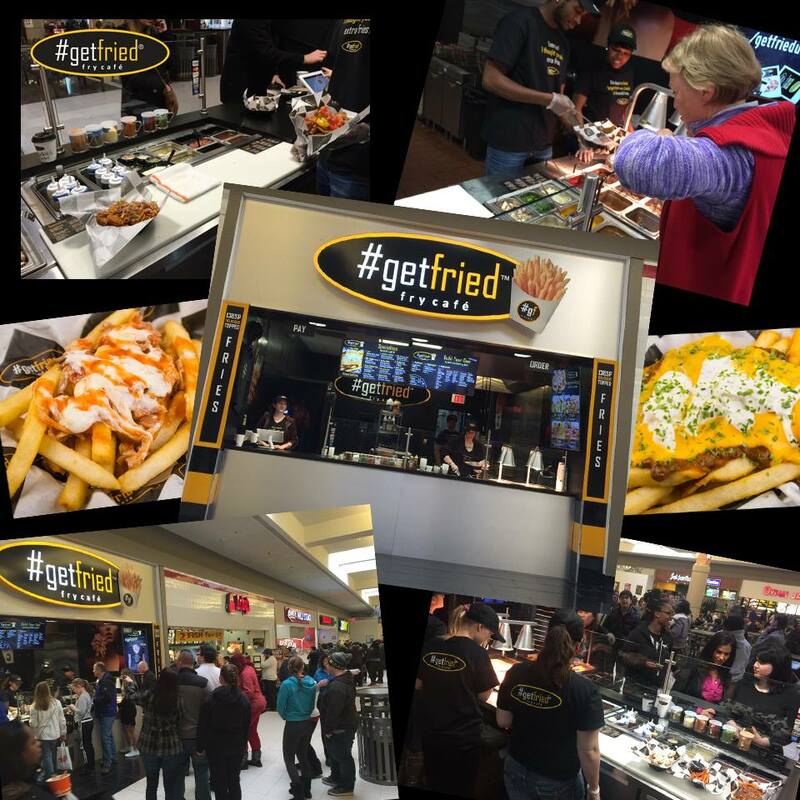 Photos from our grand opening and the family #getfried was able to help reunite with plane tickets it gave away as a prize from one of their many social media contests. 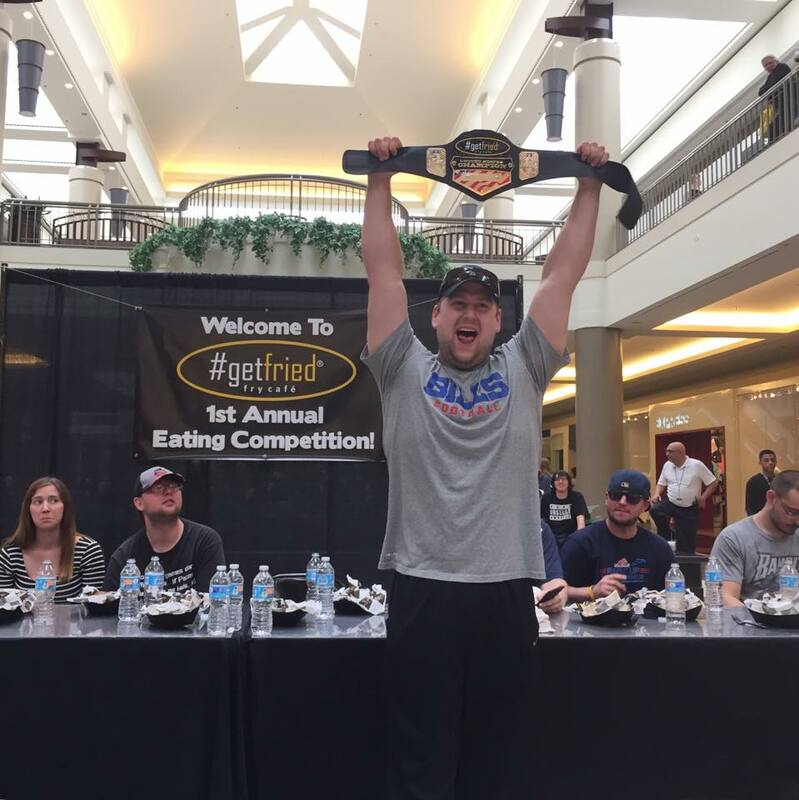 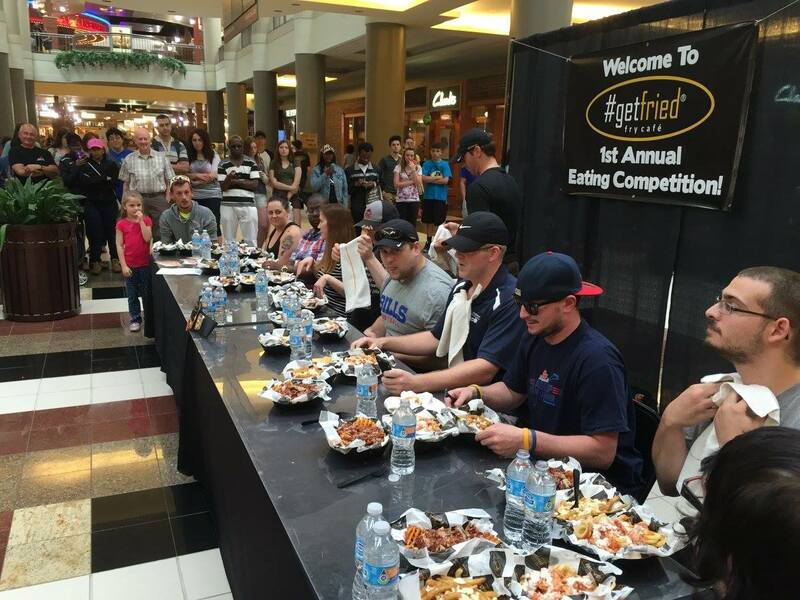 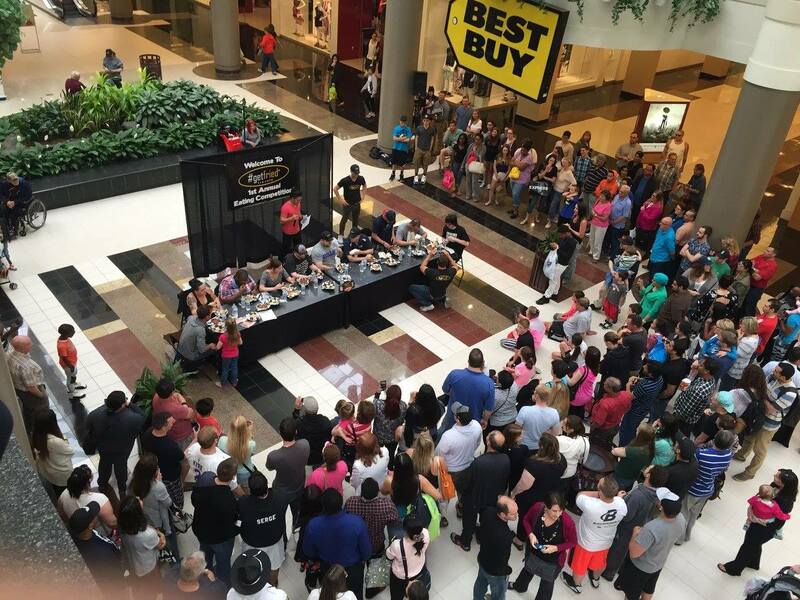 #getfried’s First Annual French Fry Eating Competition at Walden Galleria & Local Winner who consumed 10 loaded baskets of fries in under 10 minutes! 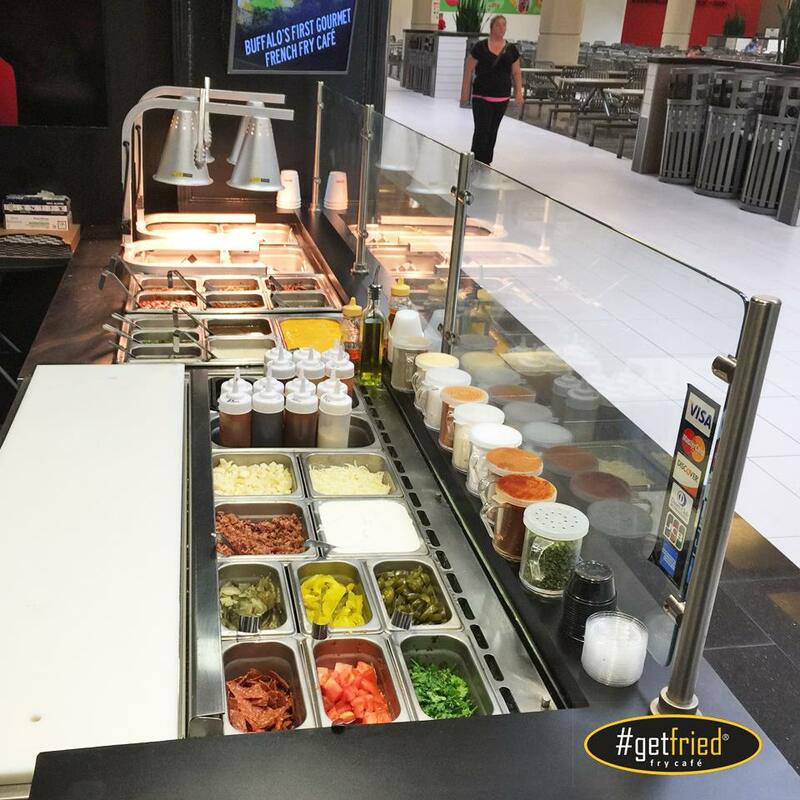 Build-Your-Own Counter: featuring freshly prepared meats, cheeses and veggies! 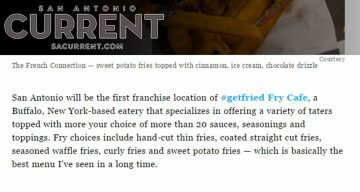 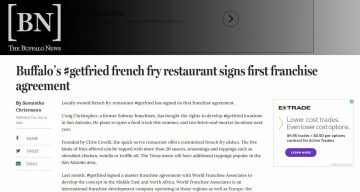 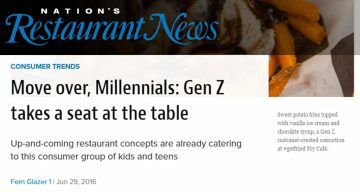 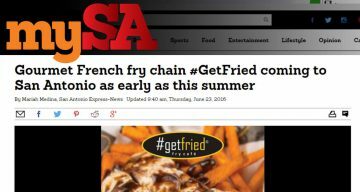 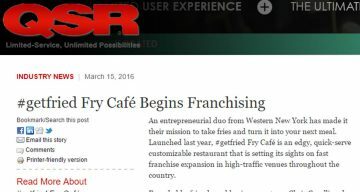 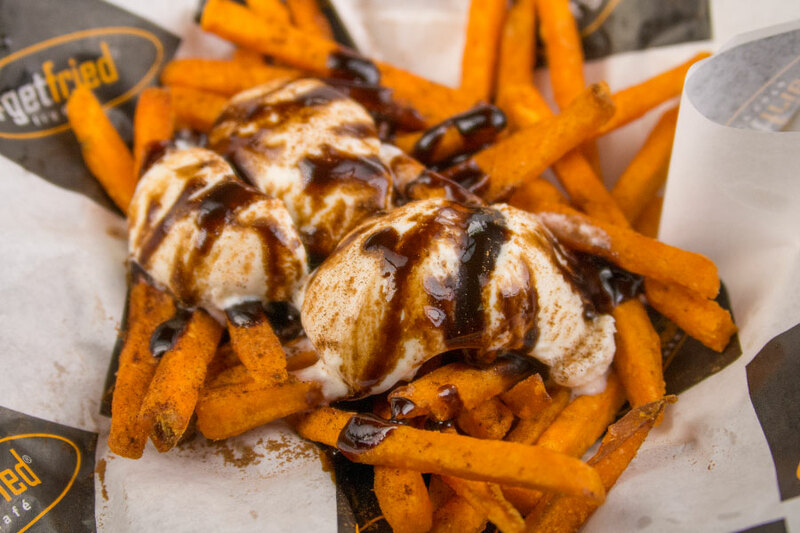 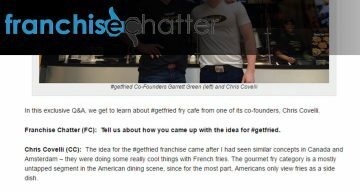 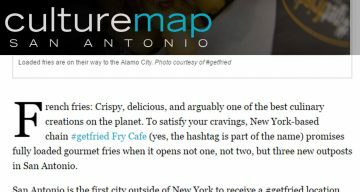 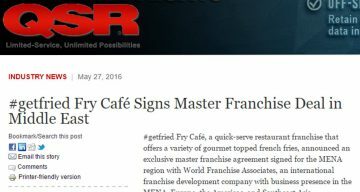 #Getfried Fry Cafe Is Coming to San Antonio! 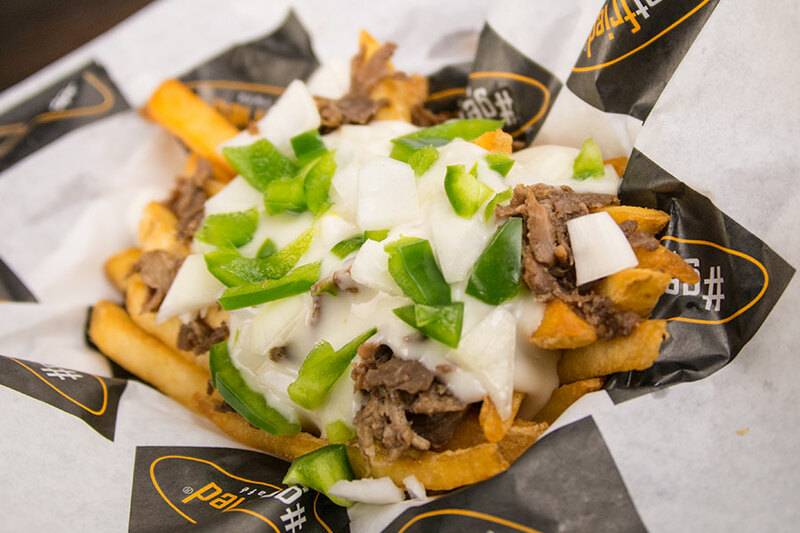 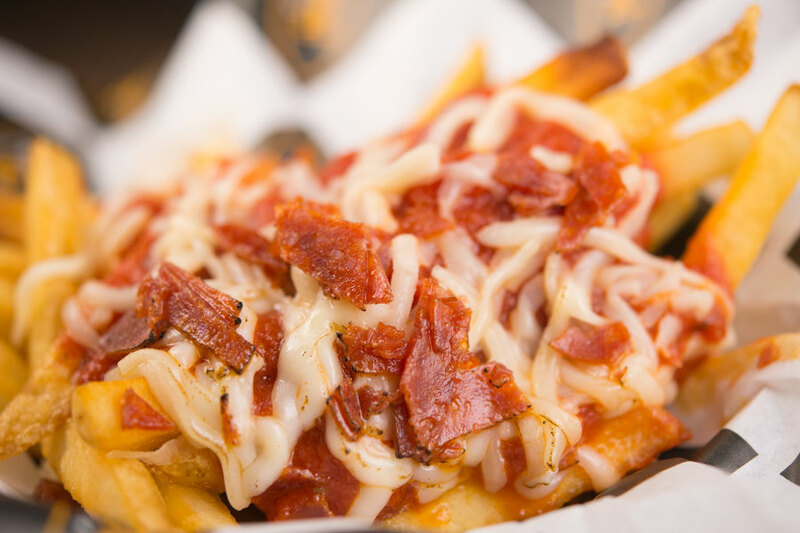 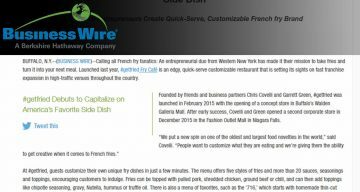 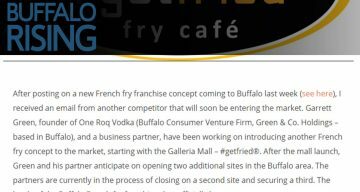 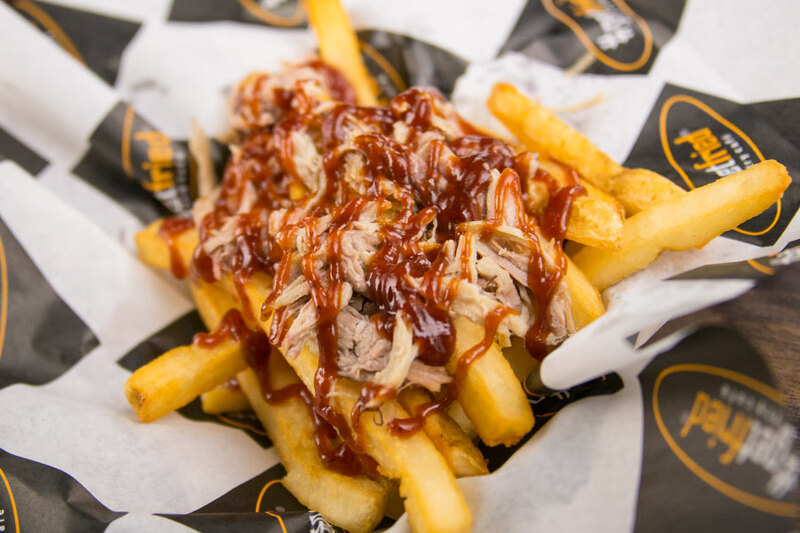 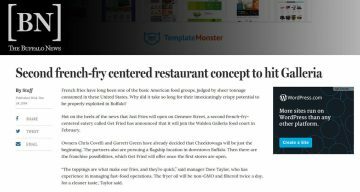 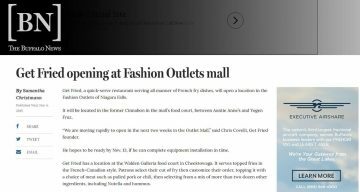 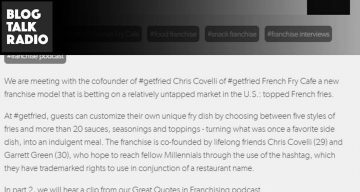 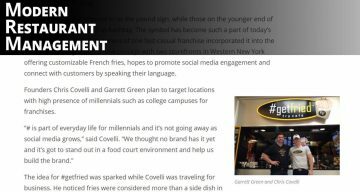 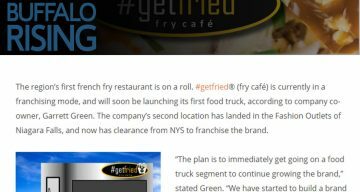 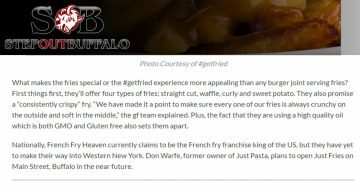 Buffalo, NY-based #getfried® fry café, a new fast casual concept, specializes in customizable and portable gourmet-topped French fries. 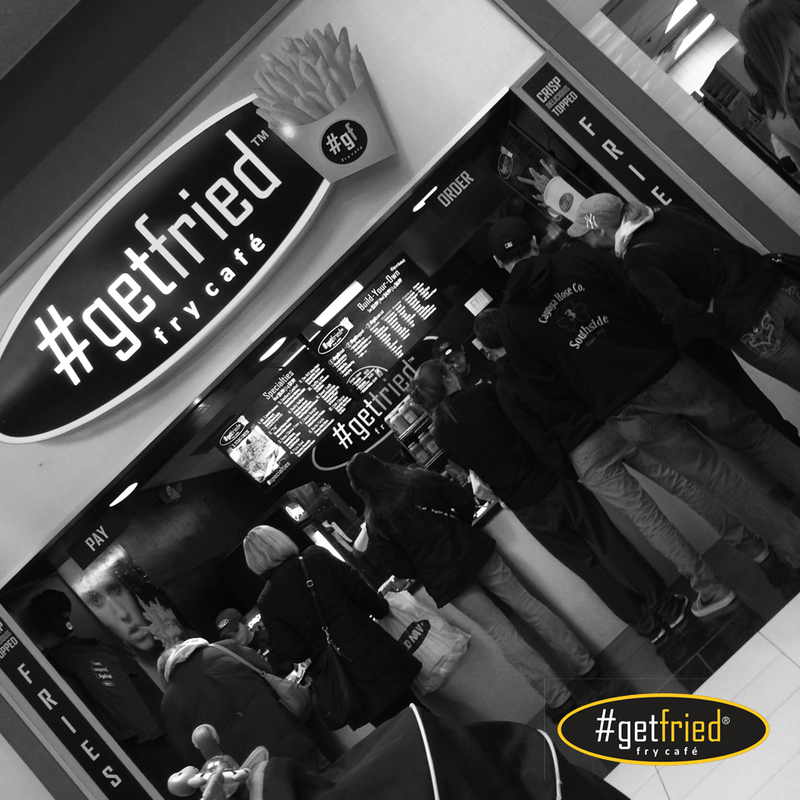 #Getfried is on a roll.